1. sift together flour, baking powder, soda, salt and spices. 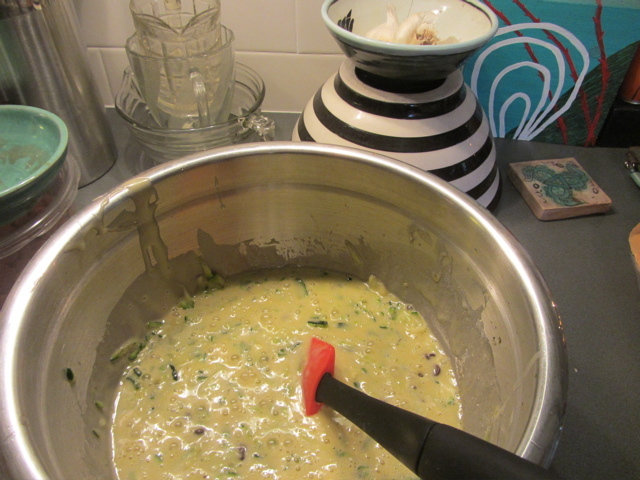 2. beat eggs til fluffy…add sugar and beat until blended. 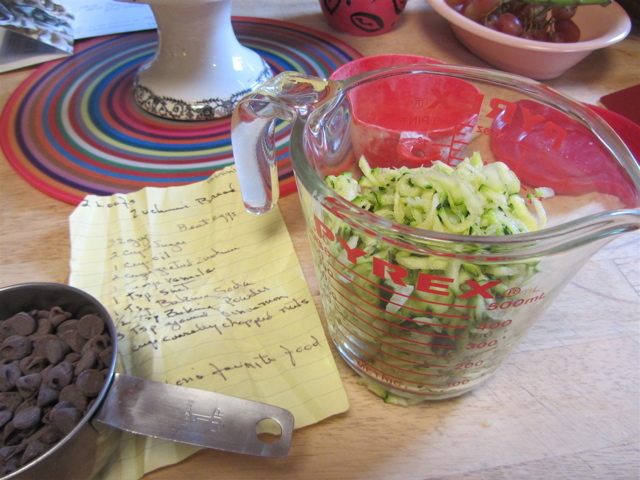 Stir in vanilla, oil, zucchini, nuts, choc chips and orange rind. 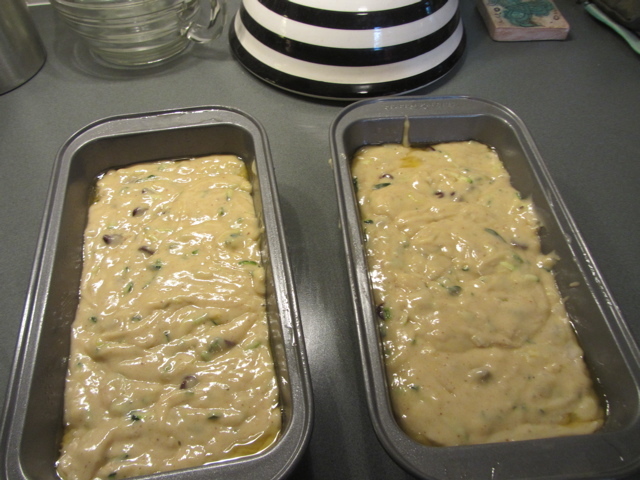 Blend and turn into 2 greased 5 x 9″ bread pans. Oh yum! 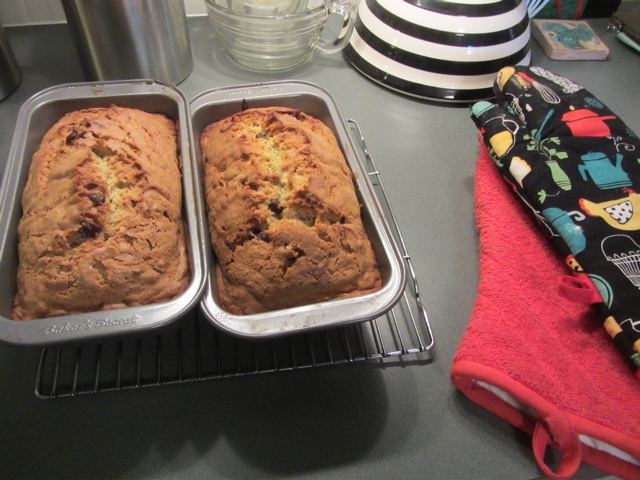 I use chocolate chips in my banana bread and it is good too..
ps Thank you for sharing this..
Gad zooks Ms. Bonnie! 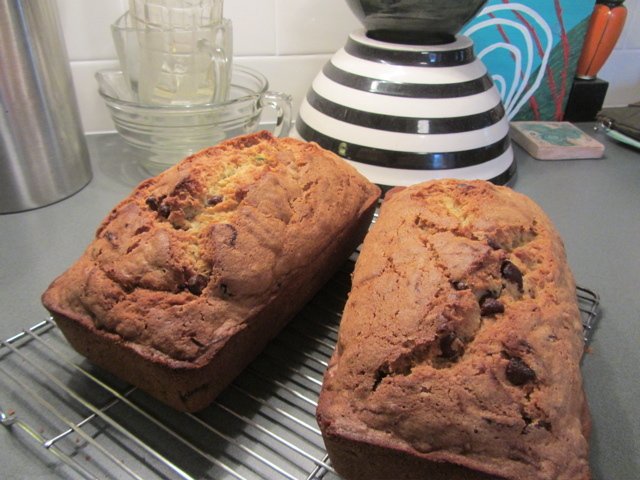 What a delightful way to start my day….it warmed me up just reading the recipe and seeing your photos. Can hardly wait to try this. Thank you so much for sharing.